One of our readers is trying to find out more information about the sinking of the S.S. Noss Head in 1941. Whilst researching a family tree, our reader discovered that her grandfather, Henry McIntosh Murray, a fireman on board the Merchant Naval vessel SS Noss Head, was lost at sea in February 1941. A raft and two bodies identified as members of the crew, were washed ashore at Deerness on the afternoon of March 1st and a raft marked “Noss Head” was found in Tarracliffe Bay on the morning of March 2nd that same year. 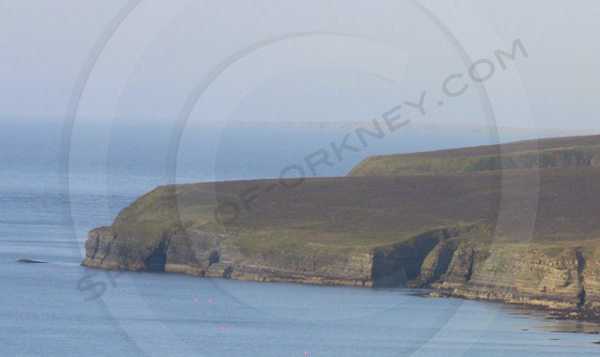 A later report referred to a further body being cast ashore at Reiss near Wick. Our reader is trying to trace anybody who may be able to provide further information about the sinking of the SS Noss Head and it’s final resting place. A memorial dedicated to one of the crew, able seaman John Leitch McLeman can be found on the Scottish War Graves Project website. However, we would be interested to hear from anybody who has information about the sinking of the Merchant Navy vessel, SS Noss Head (Leith). Scottish War Graves Project – John Leitch McLeman, Able Seaman, SS Noss Head.